Get that special someone a Christmas present to remember! 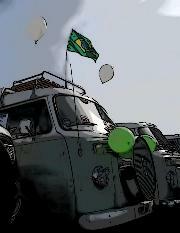 Dolly our beloved Type 2 Campervan is sadly for sale. 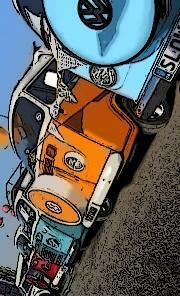 Dolly has done France & the festivals, and 3 weddings as the bridal car. She likes an adventure but sadly a need for a new kitchen curtails her adventures with us. 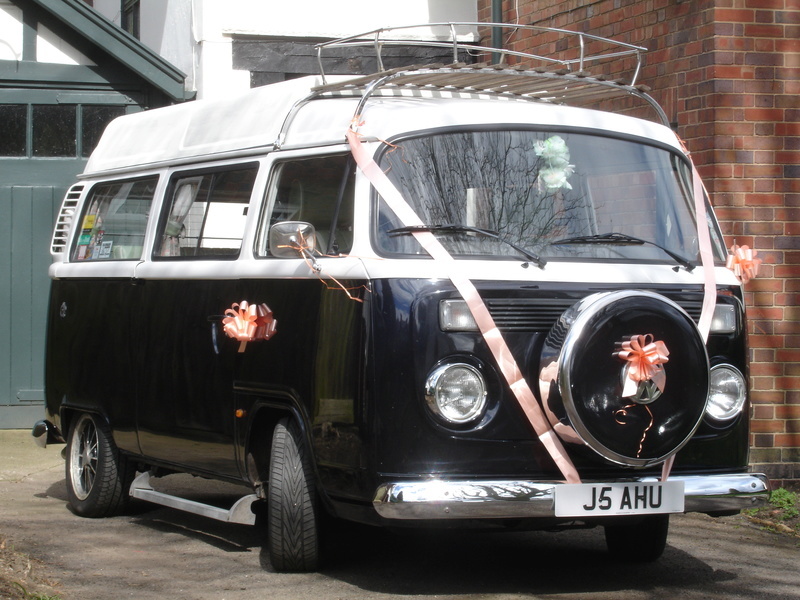 Our stunning lowered RHD 2004 1600cc air-cooled fuel injected Brazilian VW Campervan, Dolly, has done only 43,000 miles from new. We've owned Dolly for 10 years and she's always been kept the garage and SORNd in winter months. 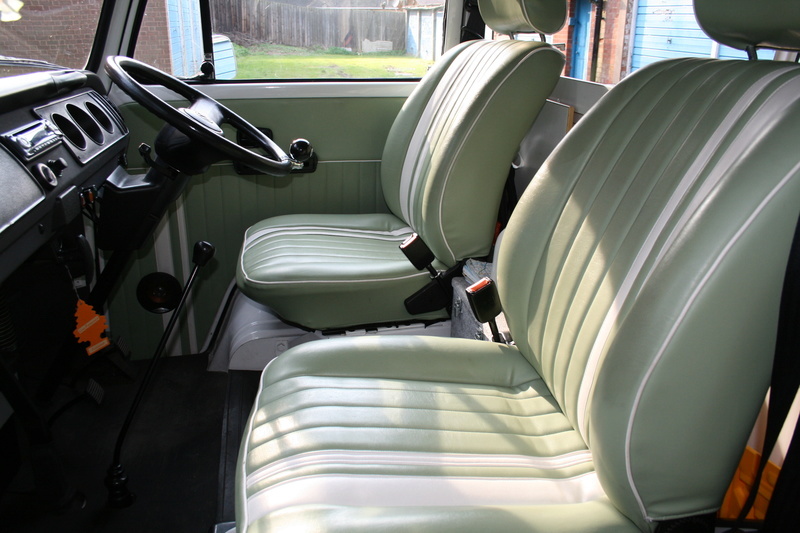 Dolly has been well looked after; all MOTs are present plus receipts for work carried out including a new gearbox 4 years ago for the princely sum £2500 and re-upholstery for over £1000. - 5 seat belts: 4 inertia reel and 1 lap belt. - Pop top, full width rock & roll bed plus upper bed board; sleeps 2 adults & 2 small children. 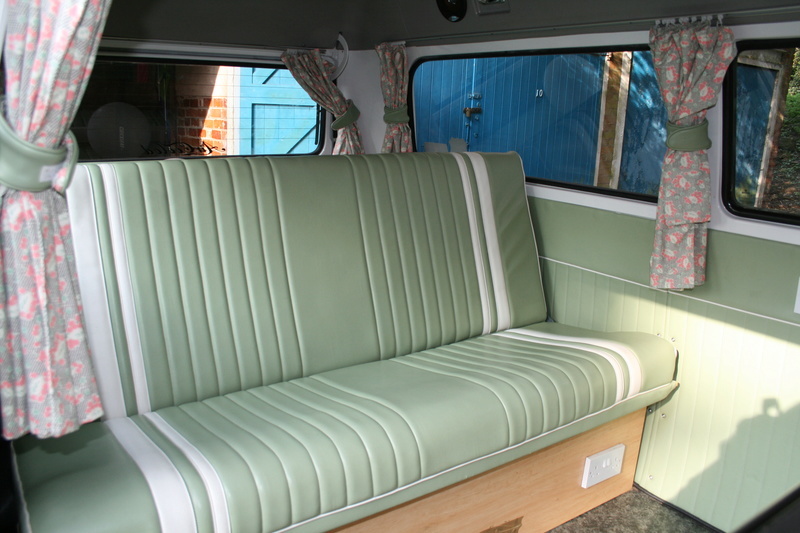 - All Seats and door cards have been re-upholstered in vintage green and white leatherette by Classic Car Services Ltd.
- New custom made curtains in retro John Lewis fabric. - 240v hook up and leisure battery with 10 metre mains cable. - 2 sets of 13 amp 240v sockets which run off mains when hooked up. - Fridge runs from leisure battery and mains when on electric hook up. - Front cab Webasto heater. - Stainless steel exhaust and chrome bumpers. - Thermal blinds for all windows. 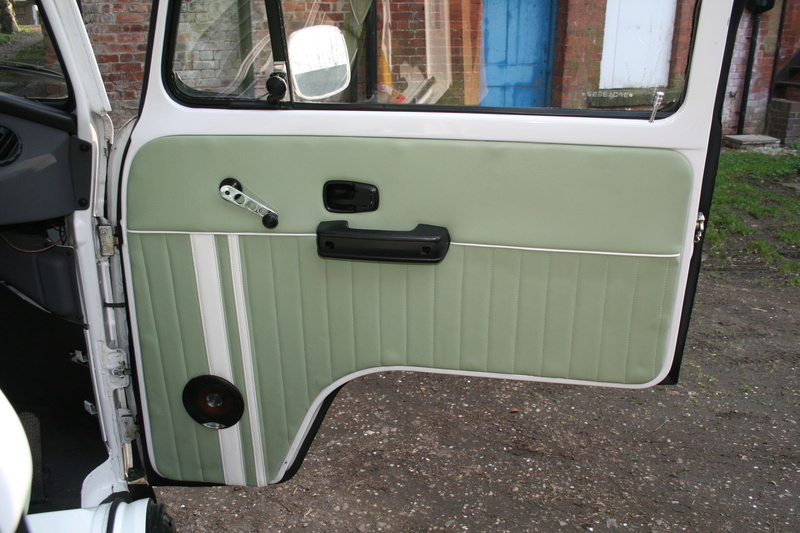 Dolly has a little bit of rust over the rear nearside arch (pictured) which would ideally need replacing: we've already bought the panel and it will be included with the sale. One of the hob rings no longer self-ignites (we use matches) and the tap works intermittently, possibly a loose connection. Dolly is priced to sell, she's an absolute bargain. The lucky new owner will have one of the last air-cooled camper vans for an incredible price (she currently has an agreed valuation of £20,000! Please feel free to ask questions or better still come and have a look, Dolly loves visitors. She’s based in Leicester LE2. 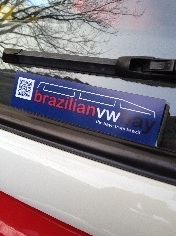 Please note the registration does not come with Dolly. Grab an absolute BARGAIN! We are looking for £16,500 and that is fantastic value. Please note that Dolly is advertised on Ebay too. Hope this camper can continue to turn up at BraziBay events. No eBay bids - very surprised at this price. I know, it genuinely is a bargain. But needs must. Are you not able to get that price from a dealer? Thank you Scooby. The Van was sold yesterday after 10 years of ownership. It's gone to a nice family from MK. 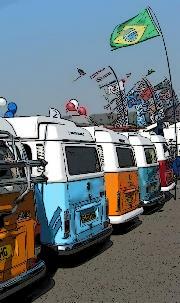 I hope to stay in touch on here and read people's adventures and hopefully turn up at a couple of meet-ups - obviously not in a camper though. Pleased to see that you have now passed your camper on. Hope you taught the new owners how to reach here! Congratulations on buying a stunning Kombi , welcome to th BraziBay family. I'm sure you will benefit in lots of ways from membership of the Forum. thank you everyone, Julian and his Wife were lovely, spent a fair amount of time learning about the van and then happily drove down the M1, we are intending to do a fair few trips away this 2019 so watch this space! I've already been stopped in the car park asking lots of questions! everyone loves them! our Daughter loves Dolly and I suspect we will be keeping her for a long time! looking forward to catching up with everyone and hope to head to a meet up soon! also fairly confident Ill be asking lots of newbie questions!! quick question, just been poking about the van today, and have not come across the jack and wheel nut brace, where would a newbie find it? It is "typically located" under the rear bench seat along with the table leg. Welcome to bay ownership! It's the best thing you could have done! John, I've sent you a PM. 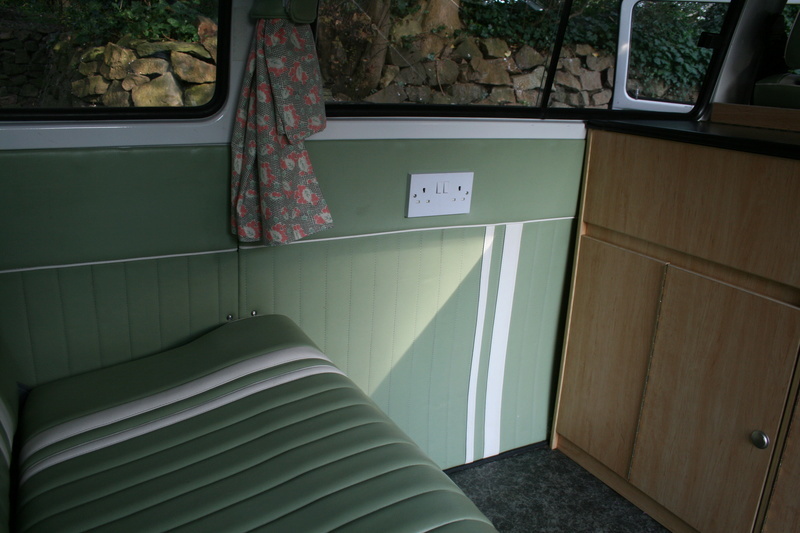 SparkySteve - It wasn't a conventional rear layout - it has a full width rock 'n' roll bed and the table leg always lived behind the passenger seat which possibly is where the jack is although as I've already messaged John, I can't ever remember having seen it !! Our Jack and wheel brace were provided in a black plactic case together with a small wire puller for removing the hubcaps- it is fairly flat and a bit triangular in shape. Hope to see you out and about in 2019! Welcome. Look forward to seeing you this year.